Glass City Dog Park - Photos with Santa! Join us Sunday, December 2nd, for our Annual Photos with Santa event! Photos will be emailed after the event for you to print and share with friends and family. 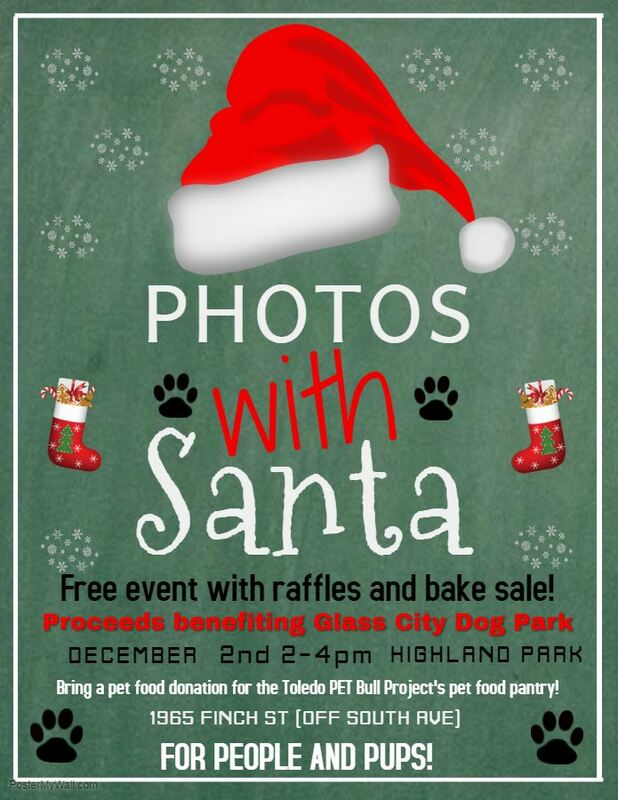 This event is FREE to Glass City Dog Park members and non-members too, but we are accepting pet food donations for the Toledo PET Bull Project's pet food pantry. There will be a few door prizes and raffle items! We will also have a bake sale for you and your pups!